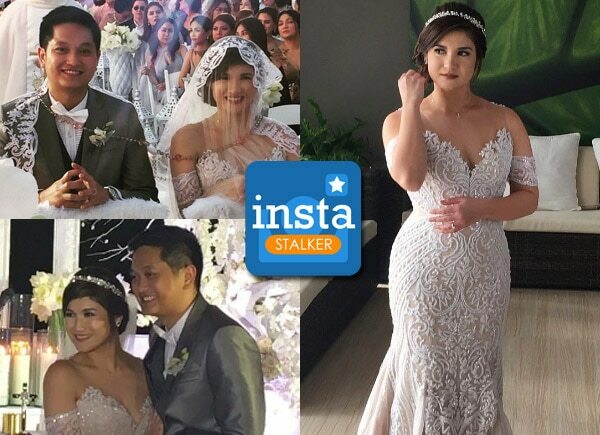 Camille Prats and her fiancé John Yambao started their 2017 filled with love as they tied the knot today, January 7 at the resort owned by the Prats family in Batangas. Camille’s entourage include her friends Pauleen Luna, Kaye Abad-Castillo, Sara Abad and sister in law Isabel Oli-Prats. Her principal sponsors included Suzie Abrera, Yayo Aguila, and Diana Zubiri-Smith. While her friends Pooh, Paul Jake Castillo, Rochelle Pangilinan and fiancé Arthur Solinap came as guests. This is Camille’s second wedding after her husband Anthony Linsangan died of cancer last 2011. They have a son named Nathan.